The East Asia Summit on tourism, trade and travel was held in Bangkok , Thailand on May 30, as part of the World Economic Forum on East Asia. The event took place at a time that ASEAN is said to have a lot of potential to develop tourism and travel. The participants to the summit, themed “Open borders: Revitalising Asia’s Growth through Travel, Trade and Tourism” agreed that tourism makes a huge contribution to job generation and stimulates economic growth. Statistics show that the tourist sector contributes 4.6 percent of ASEAN’s GDP and it also directly generates 9.3 million jobs in ASEAN, accounting for 3.2 percent of the total. According to the 2012 ASEAN Travel and Tourism Competitiveness Report, which was released at the summit, out of 139 economies in the world, Singapore was placed 10 th , Malaysia , 35 th , Thailand , 41 st , Brunei , 67 th , Indonesia , 74 th and Vietnam , 80 th . In most ASEAN countries, inadequate infrastructure, poor public health and weak environmental stewardship, together with outdated visa procedures have hindered tourism development, said the report. One of the main objectives of ASEAN’s Strategic Plan for Tourism during 2011-2015 is to grant a common visa for non-ASEAN arrivals within five years, to create a Schengen type ASEAN visa. 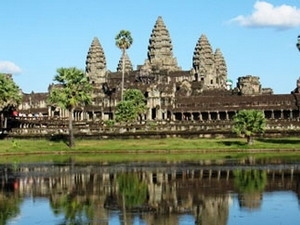 In February 2012, Thailand and Cambodia started to grant a single visa for non-ASEAN tourists and this model is expected to be extended to Laos and Vietnam by the end of this year. The region is pursuing several initiatives focused on intra-ASEAN visas and the adoption of e-visas. Cambodia has already implemented an e-visa system while Myanmar started to use the procedure in March this year. When Do You Need To Get Vietnam Visa Extended/ Renewal?